Hi! My name is Mayoumi. I am from Japan, and currently living in France! I’ve been in one of the Twin English Schools in London for one month now. When I worked in Paris, I always felt that English was incredibly important for my work, however I couldn’t speak it. One day, one of my colleagues, who was an ex-student from the Twin English School in London recommended the Twin English School to me. My first impression of Twin was really positive. All the students and teachers were very friendly, even though I found it difficult to communicate with them because I could not speak any English. I liked this English School in London on the first day. In the Twin English School, there are many events organised nearly every week so I’ve been able to do activities such as going to a traditional English pub with my classmates. Today, we had an international food party. As I was a willing participant in the party, I cooked some traditional Japanese food: Sushi. I worked very hard in preparing the Sushi, and it took me several hours to finish making it. There were some students who came from different countries and brought their own cultural, delicious food, for example: Chinese, Polish, Turkish and Venezuelan. 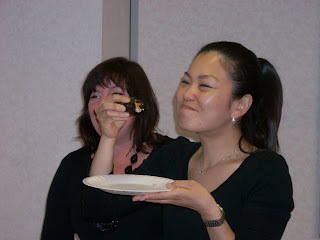 However, not only did the students bring food in but the teachers also brought in their very traditional English food. I was pleased that we tasted and exchanged our food, as well as our cultures. This day I saw all of the students embracing each other’s cultures, which Twin English School in London gives the students the opportunity. 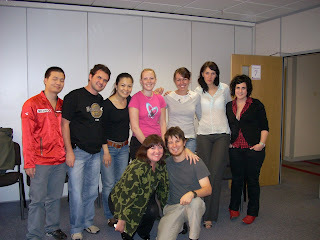 I hope we will have another opportunity during my stay in Twin English School in London. Thanks Twin! Very interesting article...and you seem to be very happy to learn English at Twin school!!! Enjoy your stay and improve your English!! !